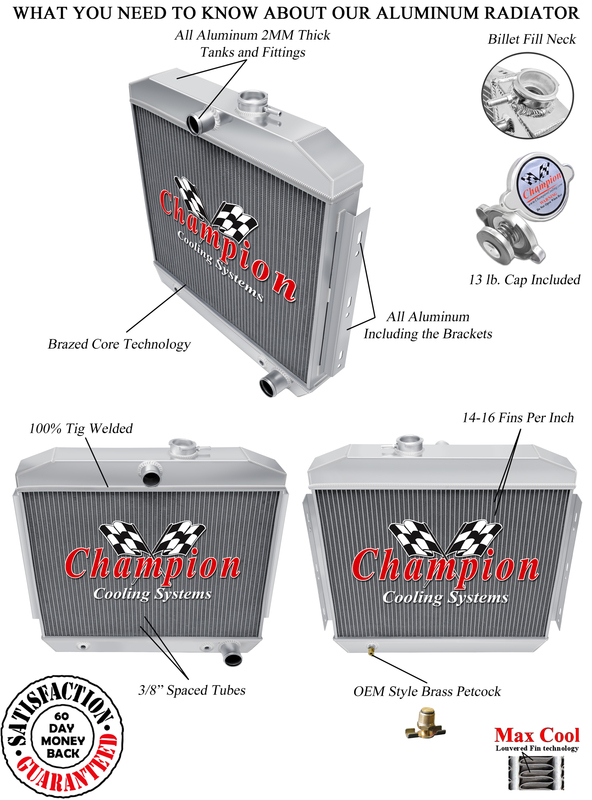 Click the button below to add the Chevy 3 Row Aluminum Radiator + Fan for V8 Mounting - 1955 1956 1957 to your wish list. With 16 Inch 2500cfm Electric Fan! Will Cool Up To 850hp...Guaranteed! You will not find a better guarantee anywhere on eBay! OEM bracket mount system for V8 mounting.